In news that bodes well for the eventual Mad Men spinoff, AMC has already granted its Walking Dead spinoff two seasons—just like it did for Better Call Saul. That comes from Deadline, which also reports that the series will start with a six-episode first season—just like vanilla Walking Dead—that will air “in late summer,” with a possibly full-length season airing some time in 2016. 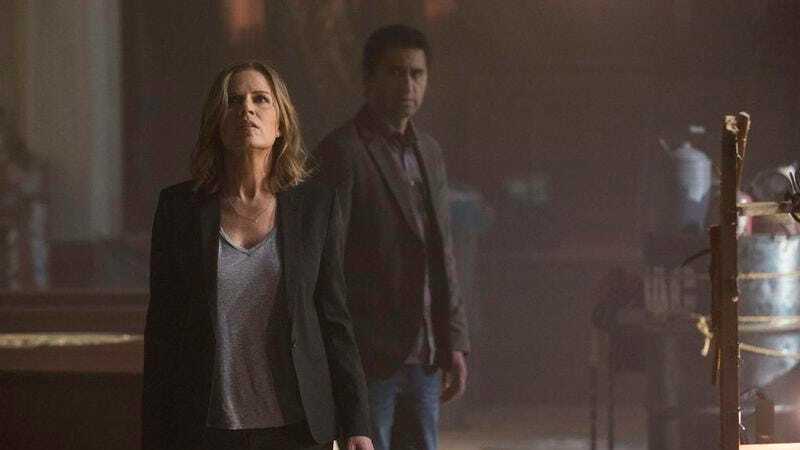 As we’ve previously reported, the still-untitled spinoff will take place in Los Angeles, and it will star Cliff Curtis, Kim Dickens, Frank Dillane, and Alycia Debnam Carey. To go with its new setting, the show is going to need a new name for the zombies—since nobody on The Walking Dead has ever heard of zombies, and therefore needs to come up with their own names for the undead. Rick and his pals call them walkers, others have called them biters, rotters, and roamers, so what would people from Los Angeles call them? It would have to be something that L.A. people would instinctually fear, like a Midwesterner or a Scientologist. Let’s try it out: “Watch out, bra! That herd of Midwesterners is coming right at us! They’ll eat our beautiful skin and surf boards!” Honestly, if the actual dialogue is half as exciting as that, we don’t blame AMC for giving it two seasons already. Anyway, the network has also released a preview image for the Walking Dead spinoff, which you can see above. Unfortunately, there are no hideous Midwesterners in it.